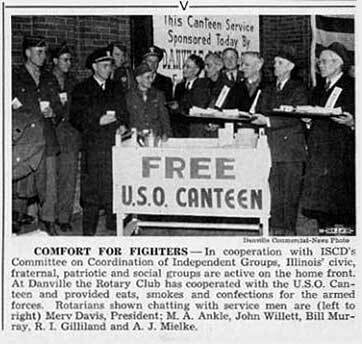 From bottom right column of On the Illinois Front (1940s), Danville, Illinois Rotary Club's U.S.O. Canteen for WWII troops. 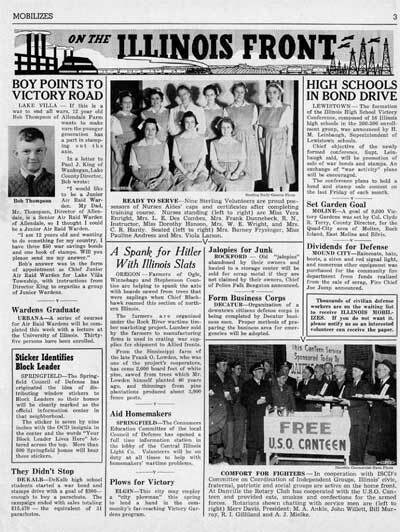 R.I. Gilliland shown second from right.